Our Infant I room is designed to help your baby feel loved, comforted and welcomed into the world! Studies show that children who build strong trust and attachments with caregivers thrive throughout their lives. Our main objective is to encourage your child’s growth and development with interaction and activities that are stimulating and age appropriate. We will stimulate the younger children with singing, reading, conversation, and most importantly cuddling! As your child grows and needs more physical stimulation we will incorporate tummy time, floor time, exersaucers, and activities to promote hand-eye coordination. This time is so important for your family! We are privileged to be able to share special moments and memories with you and your child. Our caregivers will use daily oral and written communication to ensure your family is receiving the care and attention you need. 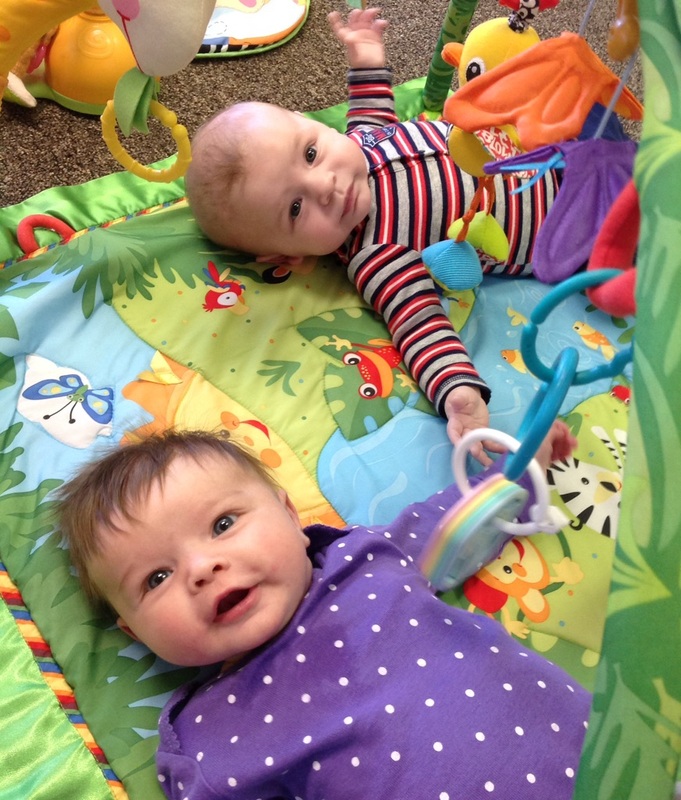 The Infant II room is all about…exploring! Between 6-8 months your child is going to want to know everything about their environment. They will use their senses to discover what things are and how they work! The teachers in this room will foster your child’s discovery by offering different textures, sounds, and toys for your child to explore! The children use their hands to understand texture changes, their sense of hearing to differentiate mood and begin to socialize, their sight to understand facial expressions and their environment, and last but not least their mouths to taste everything! They will spend time snuggling and conversing with caregivers, learning through books with verbal stimulation, and working on physical development through one on one interactions with teachers and alone. The children undergo a time of rapid physical development in this room. They typically move into this room sitting up and grasping toys. When the children leave this room they have mastered crawling, pulling up to stand, and sometimes walking! Our caregivers will nurture your child in every way and aid your child in mastering new skills!